National Treasury briefed the Committee on the Department of Water and Sanitation’s (DWS’s) Budget Vote 36, and reported that it had overspent its R15.52 billion allocation by R18.9 million (0.1%). The overspending was related to the Department’s infrastructure programmes. However, there had also been under-spending in other programmes. A key focus area was the Bucket Eradication Programme (BEP). The Committee heard this programme was initiated in 2005 under President Mbeki, and had entered Phase Two in 2013, when the Department of Cooperative Governance and Traditional Affairs (CoGTA) had requested funding of R1.7 billion. This had been followed by the setting up of an inter-ministerial committee on the BEP comprising the Department of Human Settlements, the DWS and CoGTA. The budget allocation from the Human Settlements Development Grant had been R899 million in 2014/15 and R975.4 million in 2015/16. Current indirect conditional grants for the Bucket Eradication Programme (BEP) amounted to R831.4 million. Key issues in respect of the Water Trading Entity included the allocation of 45% of the total budget to the Trans Caledon Tunnel Authority (TCTA), undertaking projects with no funding or revenue source, and weak alignment between expenditure and expected revenue. Treasury said overall challenges included the variability of planning and budgeting, expansion of the scope of the BEP, the need to support municipalities to execute their functions, and the alignment of programmes and projects to the government’s fiscal consolidation programme. It recommended that the DWS should implement policies and procedures on programmes as highlighted by the Auditor-General, and that the inter-ministerial task team should be reconvened. Members expressed their concerns over the DWS’s under-spending and overspending, the accrual of R1.5 billion, and the debt of R2.2 billion. They were of the view that these figures illustrated that the DWS was not performing well. They raised concerns over discrepancies in the figures and the large number of unoccupied positions within the DWS. They asked why the BEP was lagging behind and why it was not being completed. The DWS briefed the Committee on its compliance with financial and non-financial legislative prescripts for 2016/17. It had received R4.694 billion in conditional grants for regional bulk infrastructure and water services infrastructure, of which R4.681 billion had been transferred to municipalities. A total of R1.726 billion had been transferred to various agencies, such as the Energy Water Sector Education and Training Authority, the Public Sector Education and Training Authority, the Water Trading account, the Water Research Commission and the SA National Space Agency. R188.250 million had also been allocated to the African Ministers Council on Water (AMCOW), the Komati River Basin Water Authority, the Limpopo Watercourse Commission, the Orange-Senqu River Basin Commission, African Union membership fees and the AMCOW Trust Fund. A further R844.8 million had been allocated to the Amatola, Magalies, Sedibeng and Umgeni water boards. DWS said its challenges included non-compliance with supply chain management (SCM) processes by implementing agents (IAs), resulting in irregular expenditure; poor record keeping of project information by IAs and a lack of cooperation when they were required to provide information; and memorandums of understanding between the DWS and IAs which did not have specific project durations, so projects ran for longer periods. The Minister briefed the Committee on the suspension of the Overberg Water Board. So far, investigations had been conducted. At the time of the briefing, there was nothing called Overberg Water Board, on the basis of the outcome of the investigations and the Board’s inability to carry out its functions. All of the members had been notified and for the record, there was a legal company that had written to her, indicating that it was acting on behalf of the members of Board in their personal capacity. Because of that development, the DWS had been interacting with the State Attorney to deal with the problem, because the matter had been taken out of the departmental process. Since legal action was being taken against the DWS, the Committee decided to defer further consideration on the issue until it returned from the Parliamentary recess in August. Ms Ulrike Britton, Chief Director: National Treasury focused on the reporting requirements of the Public Finance Management Act (PFMA), 2016/17 pre-auditing expenditure outcome, compensation of employees, virements, accruals and payables, conditional grants, the Water Trading Entity, and challenges and recommendations. She said that the Department and Water and Sanitation (DWS) had at the end of the 2017 financial year spent R15.54 billion, or 100.1% of the total available budget of R15.52 billion, which translated to an overall over-spending of R18.9 million (0.1%). The over-spending was related to infrastructure programmes. Despite this, there had been under-spending in some programmes. (See attached document). The DWS had effected certain virements after the adjusted budget. Some virements had been approved by the Treasury. Accruals and payables that were recognised, in terms of the pre-audited report, amounted to R850.4 million and R226.8 million respectively. Indirect conditional grants for the Bucket Eradication Programme (BEP) amounted to R831.4 million. Key issues in respect of the Water Trading Entity included the allocation of 45% of the total budget to the Trans Caledon Tunnel Authority (TCTA), undertaking projects with no funding or revenue source, and weak alignment between expenditure and expected revenue. Ms Britton said overall challenges were the variability in planning and budgeting, expansion of the scope of the bucket eradication programme, having to support municipalities to execute their functions, and aligning programmes and projects to government’s fiscal consolidation programme. She recommended that the DWS should implement the policies and procedures on programmes which had been highlighted by the Auditor-General, and that the Inter-Ministerial Task Team should be reconvened. Mr L Basson (DA) said that overspending had been R18 million, accruals had amounted to R1.5 billion, and the DWS owed the Treasury R2.2 billion. These figures illustrated that the DWS was not performing well. What mechanisms could assist the DWS to rectify the problem? What remained unclear was unauthorised expenditure. At the previous meeting, the Minister had indicated how the DWS would pay accruals. However, the document submitted to the Committee provided a different picture to the one provided by the Treasury. At the previous meeting, the Committee had been told that the DWS would rely on its own generated resources to pay accruals. How was the DWS going to pay those accruals? What could the Committee do to assist the DWS? What could the Treasury do to assist? He was of the view that the BEP programme should be dealt with by the DWS, and not by the Departments of Cooperatiuve Development and Traditional Affairs (CoGTA) and Human Settlements (DHS). Ms T Baker (DA) said there were discrepancies in the figures, as well as a large number of unoccupied positions within the DWS. She pointed out that the BEP had not started in 2013, but had been launched under the leadership of former President Thabo Mbeki. When it was launched, targets had been set and those targets were achieved. Since 2013, too much money had been allocated to the BEP, but targets had not been achieved. The BEP should be reviewed. Mr D Mnguni (ANC) said that the Treasury had indicated that there was no policy on the management of grants. He asked what the Division of Revenue Act (DoRA) said on the grants. The budget alignment had moved from R440 million to R900 million -- how was the Treasury conducting its oversight? He sought clarity on why municipalities owed the DWS money, and the DWS owed municipalities money. He also found the cost of the BEP per unit problematic. In 2015, the cost of a unit was estimated at R9 000 and now it was estimated at R20 000. Every year, a new cost per unit was provided. How much did one unit really cost? The Chairperson asked whether the DWS had enough budget to run its programmes, whether it was able to cut costs or had taken cost cutting measures, and asked for further clarification on the debt book and overspending of R18 million. At the previous meeting, Members had been concerned about debt collections assigned to one company, which received 1.5% of any collection. Debts of R8 billion had been assigned to one company. He asked the Treasury to comment on debt collection. Mr Basson said that the DWS was happy with the Water Trading Entity’s collection of debt, and asked whether the Treasury had more information about whether the Department would use other institutions to collect debts. Ms Britton responded that the DWS had adopted different approaches to debt collection. Municipalities were applying an intergovernmental approach. They were using debt collectors from various organisations with regard to bulk water buyers. In principle, it was the responsibility of the accounting officer to go and collect debt, to increase or generate revenue. However, the PFMA did not specify how this could be done, but stated that the debt collection should be done in effective and sufficient manner. The Treasury could review the measures taken by the DWS to see whether they were effective or not. The Treasury had no legal mandate to intervene, however. Referring to the balance sheet, she said that Members could see that there was mismatch of figures. It was also problematic how the assets could be used to become actual cash. On the issue of cost-cutting and the use of consultants, she said one needed to look at the DWS’s personnel budget, and in particular, the budget for compensation of employees and the budget for consultancy. One should look at whether the Department had the required in-house skills and expertise, or whether skills had to be out-sourced. Did it use consultancies to do certain work? Did it outsource managers to run certain projects, or were they in-house employees? What the Treasury had seen was a large consultancy budget. There was no other department that funded unfilled vacancies except for the DWS. There was a large amount of money for the compensation of employees and for consultants’ services. On the BEP, Ms Britton said that the Treasury did not have its own quantity surveyors and had to rely on the information from departments. The budget for the programme was calculated on basis of R20 000 per unit, but the basis on which the budget was allocated was different from the actual cost basis, and thus it was difficult to reconcile the two. The DHS and CoGTA had then approached the Treasury and indicated how much it would cost to run the BEP. If one compared actual expenditure to what had been delivered, one would see the discrepancies. This was how the issue could be looked at from a financial perspective. One should look at what the money had been spent on. Ms Britton agreed with Ms Baker that this was not first time that the BEP had been initiated. It was a project which had started in 2005. When the programme ended, all bucket systems were almost eradicated in the country. This programme spoke about the failure to learn lessons from previous similar projects. The DHS had a concurrent jurisdiction, because it was the department which decided where houses should be erected. The problem was therefore alignment of the DHS programmes with the municipal and provincial programmes, which were implementing the reconstruction and development programme (RDP) houses. On the one hand, the DHS was implementing bulk housing infrastructure, while on the other hand the housing development was done by local and provincial government. What was apparent was a non-alignment of these programmes. Ms Baker remarked that she was confused, because every time Members received a presentation, the cost of the BEP was provided differently. Ms Britton said that the BEP was started in 2005, and that the BEP Phase Two had been launched in 2013. She felt that the BEP could be run by municipalities, but it did not matter who did it. However, it could not be done without municipal planning. What mattered was a good outcome, and that lessons were learnt from the past mistakes to avoid the need for a BEP in the future. The Chairperson said that the BEP was a project that should have belonged to the municipalities. Ms Britton said that the municipalities could get resources from the water payments made per house. The money could be used for the maintenance of water infrastructure. On the question of what could be done to help the DWS, she referred to the PFMA and said the DWS could over-spend on the BEP. The Committee could condone or endorse the unauthorised expenditure. There was not much the Treasury could do about this. On discrepancies in figures, she said that the Treasury was relying on the DWS reports. The Chairperson advised the Committee that a panel comprising the Deputy Director General (DDG), Chief Directors and other senior managers had been sent to Mauritius to attend a conference on water. Ms Nomvula Mokonyane, Minister of Water and Sanitation apologised on behalf of officials from her Department who could not attend. She introduced the team who accompanied her, who would brief the Committee on quarterly report. She said that although the Committee had communicated 23 items to the Minister to be briefed on, she found that these items had nothing to do with the Fourth Quarter report. For that reason, those items would not be reported on, because they were featured in the Annual Performance Plan (APP). The Chairperson said that the Minister should recall that the 23 items had to do with outstanding matters. Therefore, the Committee was expecting the DWS to brief the Committee on them. In principle, Members could raise any issues they wished to raise as long as they were relevant. Was the DWS not ready to respond to Members’ questions? The Minister responded that the DWS delegation was ready to respond to any question. She reminded the Chairperson that, at previous meetings, he had insisted that the report on those outstanding matters should be submitted three weeks prior to the meeting, and this was the procedure that had been agreed on. In the last few months, the DWS had spent a lot of time attending meetings, and each meeting had led to another meeting, and this was not making the DWS productive. She pleaded to the Chairperson to restrict the brief to the fourth quarter report. The Chairperson agreed, and remarked that it was not three months, but only one week. Mr Basson remarked that the Minister was not at the meeting to dictate to the Committee on what to do. If the Minister did not have answers, she should be allowed to respond at a later stage. The Chairperson said that the point had been made, but he agreed with the Minister’s view. Mr Sifiso Mkhize, Acting Director General, took the Committee through the presentation, which focused on compliance with financial and non-financial legislative prescripts for 2016/17. The presentation was divided into eight parts. Part one dealt with overview of non-financial performance, including a summary of the department’s performance, an overview of the main account performance per programme, and an overview of the Water Trading Entity’s performance per programme. Part two dealt with the main account financial performance. Part three dealt with the Water Trading Entity’s financial performance. Part four dealt with supply chain management (SCM) matters. Part five dealt with progress on 2015/16 audit outcomes. Part six dealt with risk management matters. Part seven dealt with internal audit matters. Part eight provided the definitions of certain concepts. With regard to transfers and subsidies, the DWS had received R4.694 billion in conditional grants for regional bulk infrastructure and water services infrastructure, of which R4.681 billion had been transferred to municipalities. A total of R1.726 billion had been transferred from the R1.727 billion allocated to various agencies – the Energy Water Sector Education and Training Authority, the Public Sector Education and Training Authority, the Water Trading Account: Augmentation, the Water Research Commission, and the SA National Space Agency. An amount of R0.981 million was allocated to higher education institutions. There had also been an amount allocated to foreign governments and international organisations. 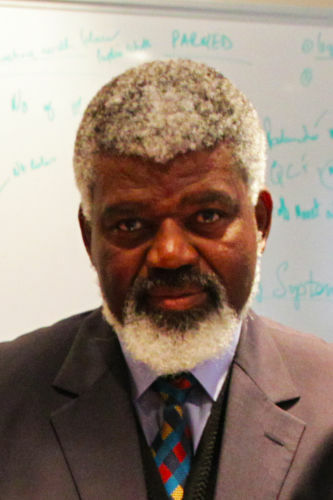 In this regard, an amount of R188.25 million had been transferred out of the R188.789 million allocated, to the African Ministers Council on Water (AMCOW), the Komati River Basin Water Authority, the Limpopo Watercourse Commission, the Orange-Senqu River Basin Commission, African Union membership fees and the AMCOW Trust Fund. Among amounts allocated to public corporations and private enterprises, R844.773 million had been transferred in full to the Amatola, Magalies, Sedibeng and Umgeni water boards. Mr Mkhize said under-spending across programmes was mainly due to unfilled vacant funded positions, and direct overheads and associated costs attached to the appointment of new personnel. Other factors that led to under-spending included the unspent funds allocated to the Thabazimbi Municipality in respect of water services infrastructure, and reduced activities in respect of travelling, air transport, travel agency fees and accommodation, as part of cost containment. The under-spending on revenue funded projects could be attributed to two main reasons – the process of sourcing quotations from the appointed pool of contractors was taking longer, and there being no successful bidder during the evaluation process for the metering projects. The DWS faced challenges on procurement issues. These included non-compliance with SCM processes by implementing agents (IAs), resulting in irregular expenditure; poor record keeping of project information by IAs, and a lack of cooperation when required to provide information; and memorandums of understanding (MOUs) between the DWS and IAs did not have specific project duration, which meant projects ran for longer periods. Mr Mkhize provided an overview of the 2015/16 audit outcome findings. All 18 findings impacting the audit report were related to commitments on infrastructure projects implemented by IAs on behalf of the DWS. The root cause of all these findings was similar, and related to the lack of monthly reporting on accruals and commitments on infrastructure projects implemented by the IAs; documents for projects implemented by IAs not being available at the DWS, and a lack of reconciliation of invoices sent by IAs. The Chairperson sought clarity on whether the numbers provided were annual, and whether there was consistency in ensuring that the figures were reported in millions or billions. Mr Mnguni asked whether documents were double checked before they were submitted to the Committee. He pointed out a number of anomalies in the figures presented, where percentages were inaccurate and figures were not matching, and remarked that if the DWS came to brief Members, they should do a proper check of their documents. According to the Treasury, there were more than 900 vacancies that were not filled. Did the DWS have any radical approach to ensure that people were employed in those positions? People needed jobs. The government was shedding jobs instead of creating them and employing people. Referring to higher education, asked why money for universities had not been transferred to Stellenbosch and the University of the Western Cape, when it had been budgeted for. The DWS could not justify under-spending simply because it did not implement an activity for which money had been allocated. He remarked that if the DWS was doing its planning, how did they do it? Was there any project management? How was a project implemented? He commented that the DWS was facing challenges mainly because of the IAs. Was there a radical response to deal with IAs, including monitoring support? Were there disciplinary measures in cases where they were not following the described procedures? Mr Basson asked why R18 million had been overspent. He referred to water infrastructure development, where the DWS had achieved 25% of its targets and partially achieved a further 25%, but then the presentation had illustrated that the allocated budget had all been spent. The company that was collecting money for the DWS was providing its own banking account for the money to be paid in there. How much was the commission? The DWS had owed the Reserve Bank R454 million in 2016, and by March 2017, the debt had increased to R2.6 billion. Where were these debts reflected in the presentation? He had a problem with the statement that R697 million in interest had been charged, and asked whether this interest had been received. Mr Baker said that she was struggling to reconcile some programmes, particularly those dealing with sanitation. On one slide, it was said that all the objectives had been achieved, but this could not be reconciled by the reported expenditure. The BEP was a huge problem. The Chairperson said certain challenges faced by the DWS had been covered in the Treasury’s brief. Was the DWS dealing with the municipal infrastructure? The Committee was expecting an improvement. There was a need to save water, and with water being so scarce, the DWS was struggling with delivery. In the Western and Eastern Cape, there was a water crisis. In light of this, how was the budget allocated and how was it accounted for? The Minister asked Ms Babalwa Manyakanyaka, Chief Director: Corporate Planning, to explain the balance sheet and other figures. She was assisted by Mr Mkhize. An explanation was given on whether money spent was in billions or millions, and targets were compared with money spent. The effect of backlogs on the achievement of targets was also explained. Mr Basson said that the report provided an accumulation of quarterly reports. It included the fourth quarter report and the annual report. Ms Manyakanyaka agreed. She said that the presentation tried to provide both quarterly and annual targets. It also made reference to previous targets in terms of backlogs. Ms Baker asked whether Members were engaging with the fourth quarter report or the annual report. The Chairperson said that they were dealing with the fourth quarter report. It was the last quarterly report, which seemed to be accumulative. Mr Mkhize responded that the Department had taken note of the need for doubling checking documents. He said that the figures were correct. He added that the DWS had started restructuring from the previous year, and it was anticipated that all vacancies would be filled by 2018. The DWS continued to improve its internal controls through ensuring that the supply chain management was more effective. On the question of budgeting, the Minister said that she would like to hear the Minister of Finance make a statement on the issue. 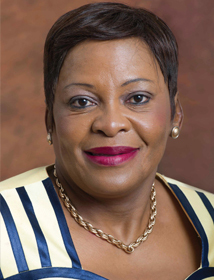 She was waiting for a directive from the inter-ministerial committee on service delivery comprising CoGTA, the DWS, the DHS and other departments. Referring on the 2013 BEP, she said that people were waiting for estimates and had tried to talk about cost per unit. It would be irresponsible for the DWS to say that there was a cost per unit, because eradicating the bucket system per unit could not be based on a calculation of walls, doors and windows. Unfortunately, she had not been present when the Treasury had been presenting to hear what informed the cost per unit. What the DSW had achieved in terms of the BEP was a great improvement. A lot had been done. The BEP would be integrated in the rural sanitation programme. Going forward, on rural sanitation, that was where the DWS could get estimates. The DWS was building internal capacity to be able to investigate and assess waste. It was also recruiting people who were being training in environmental affairs, and would assist with what was happening at the local level. The Chairperson said he had received a letter dated 26 June 2017 from the Minister, advising him that the she had terminated the term of office of the Board members of Overberg Water with immediate effect, and that Ms Nthabiseng Fundakubi’s secondment to Overberg Water had been terminated and she would resume her duties within the DWS with immediate effect. The Chairperson invited the Minister to brief the Committee on the matter. The Minister said that there had been a process within the DWS which had to do with the functionality of the Overberg Water Board, and the Minister – as the representative of the shareholder – had been trying to indicate what had to be done. So far, investigations had been conducted. At the time of the briefing, there was nothing called Overberg Water Board, on the basis of the outcome of the investigations and on basis of the Board’s inability to carry out its functions. All of the members had been notified and for the record, there was a legal company that had written to her, indicating that it was acting on behalf of the members of Board in their personal capacity. Because of that development, the DWS had been interacting with the State Attorney to deal with the problem, because the matter had been taken out of the departmental process. She introduced Mr Phakamani Bhutelezi, who was going to be the CEO of Overberg Water, and who would issue an advertisement by the end of this month for the establishment of a new board. That was the situation. Mr Basson said that since legal action was being taken against the DWS, the Committee should recess for five minutes to discuss the matter and consider whether the Committee should proceed with engagement. Mr Mnguni and Ms Baker seconded his proposal. The meeting was adjourned for five minutes. When the meeting resumed, the Chairperson said that the matter was complicated because the legal route had been taken. The matter should be classified, and treated as sub judice. Mr Mpumelelo Ncwadi, ex-Board Chairperson, said that the matter had not yet been taken to court. What they had been expecting to hear from the Minister was the reason why the Board had been terminated, and nothing else. The lawyers were just acting to get an answer from the Minister. The Chairperson reiterated that the matter before the Committee was serious for a number of reasons. Firstly, the DWS had instituted the investigation against the Board and the Committee did not have information regarding the outcome of the investigation. Secondly, the Board had taken the DWS to court, and so the Committee needed a legal opinion on the matter. For these reasons, Members had suggested that the Committee should not proceed with engaging on the matter. The Committee would resume its engagement when it came back from recess in August. He added that the Minister had the power to dissolve the Board and that the Committee had the right to summon anyone to come before it, whether the Board had been dissolved or not, or whether a person had been suspended or not. Mr Baker asked which position that Ms Fundakubi had assumed, or what role she would be playing within the DWS. Mr Mnguni suggested that all questions should be left aside, as a resolution had been taken to postpone the matter until further information was available to the Committee. All questions should be reserved for the next meeting. Mr Basson asked the Chairperson who should cover the travelling costs of members of the Overberg Water Board who had been suspended, because they had come to attend a meeting at the Committee’s request. Was it Parliament or the DWS? The Chairperson said that it was a matter for Parliament. Ms Annelise Cilliers, Chief Financial Officer: Overberg Water, said that she had been unlawfully suspended and had no access to the premises until the unlawful suspension was lifted. She had been left in suspense. They were six people who had to generate a financial report by the year end. If she was not allowed to return, it would be difficult to generate the report. She wanted to know if she would also have to wait until a decision was taken at the next meeting, or if she could return and start working on the report. The Chairperson responded that the question was an operational matter, and should be dealt with as such. Members briefly discussed the Committee’s programme upon their return from recess.